Hey all, I know there are a bunch of threads on this dating waaay back but I just finished my swap this weekend and thought I would share my input on it. 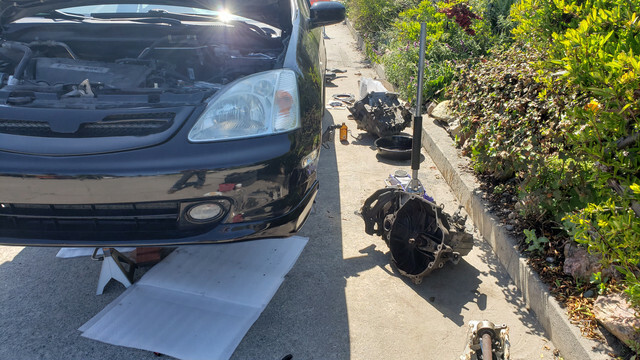 I have 233k miles on my 03 ep3 and its 3rd clutch was finally on its way out so I figured I should do the 02-04 rsx type s 6 speed swap since the old 5 sp would be out anyway. I did it in front of my house in the street and it took about 15 hours without power tools and no help. The only "hard" part was jacking up and aligning the new transmission alone... I spent quite a while digging through old threads so I knew what had to be done. I was really hoping to do a full guide on the famous "notch" for the shift assembly but either 2003 does not need it or 233k miles of abuse have worn it enough to shift into reverse no problem. I have not wired up the reverse lockout yet and I'm still unsure if I actually will. Like most people say, you would almost have to do it on purpose for it to happen. Unfortunately the transmission I got had a really worn out vss bore -(the hole that the oring on the vss seals on) which I believe is the culprit to a speedo wavering issue I have after the swap. It bounces around about 5mph. i did use my old 5 speed vss and aside from the wavering it reads accurately. 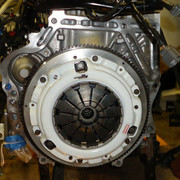 The clutch and flywheel I decided on was a pretty big risk but surprisingly I am impressed with it. It was labelled as a grip racing 6 puck stage 3 clutch and lightweight flywheel on ebay for 160$ shipped. Seemed too good to be true, but I guess it can happen sometimes. I'm still in the clutch break in period so I haven't really driven it hard yet. But just normal everyday driving it has a much more linear power delivery and really wakes up the k20a3. I'll post here with more thoughts as the clutch breaks in and I get to romp on it more. I did not take many pictures but here are the few I did. 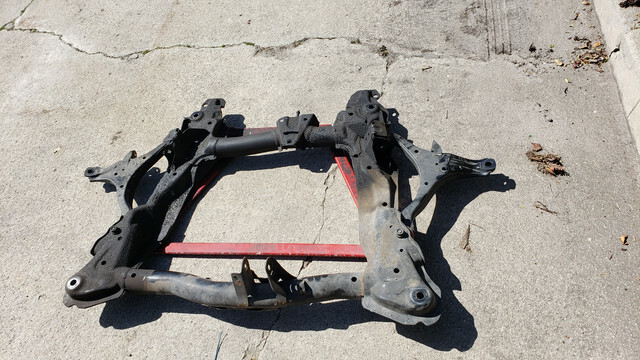 Subframe removal was surprisingly easy. Just make sure to remove the ac line bracket bolt before you drop it. 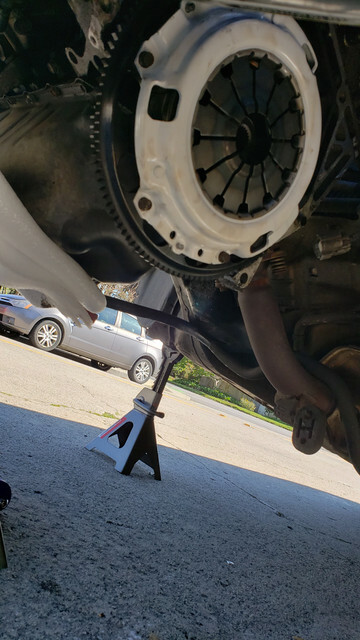 Thanks man, I was hesitant to do it with no prior experience doing a clutch job but It went smooth and I recommend if anyone is contemplating it to just do it. Last edited by hoogen; 06-04-2009 at 06:29 AM. Quick update - clutch only has 150 miles so I'm taking it easy still. AutoX is on the 27th so I will have a better comparison then (with the 5 speed I was about 2.5 seconds behind my buddy with a mk7 gti)-. But I did get the speedo wavering -almost- gone. just a small hiccup around 40-45. It does appear to be reading high though. 3k in 6th reads at like 78mph, I need to dig around and see if thats actually correct but I dont think it is. I may end up going with the aftermarket vss (I forget who makes it currently). Other than that it's been amazing so far. I'm still hesitant when I throw it into 6th, just the thought of hitting reverse is not pleasant. I will add more updates as things happen. are you going to take apart the old 5 speed and building it for the hell of it? Thats a thought I've been contemplating since I did the swap lol. I might add a tsx 6th gear to it and an lsd. I do currently have it for sale but if it sits around long enough that will probably be my route. that sounds cool. I was debating on taking apart my ep3's 5 speed and turning it into a 6 speed and putting in a lsd also. oh how heavy was the transmission? I dont have a scale but heavy enough to require a jack to get it back in place. If I had to guess I'd say around 110-120lbs. If you end up ripping apart your 5 speed make a thread on it! you are making me think of getting a 6 speed also. 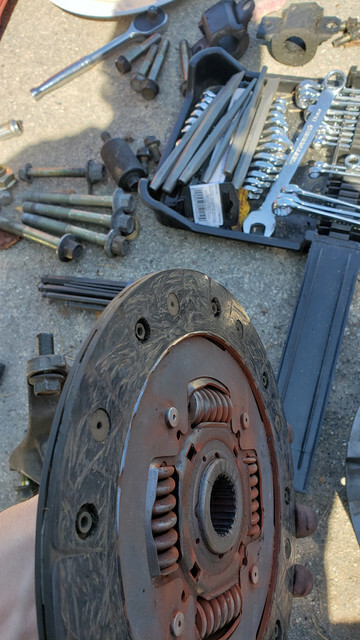 So hopefully you remembered to shim the pivot ball with a washer to correct the clutch geometry. They definitely look similar. I knew I was taking a risk when I got it for 150$ shipped with flywheel but surprisingly its solid so far. I did not shim the pivot ball because I did not know about the hydraulic issues. Assuming it is a clone. I guess time will tell. Worst case I can make a different slave cylinder mount to push it forward more. As it is now engagement is good and the hydraulics are normal. If anything happens on that front Ill update on it. Thanks for the info! I guess time will tell. Worst case I can make a different slave cylinder mount to push it forward more. These pressure plates are a little on the "short side" for the installed height when compared to a stock dimension pressure plate. This shorter height is compensated for by the hydraulic system, but it places the throwout arm and slave cylinder close to half travel already. 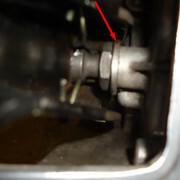 As you step on the clutch pedal the slave starts moving as well, but before the CMC has reached max travel the slave has But because the CMC is traveling it continues to pressurize the system causing the hydraulic failures seen.